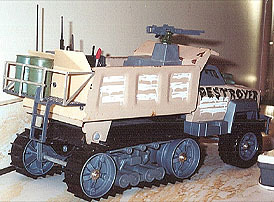 This is my customized Destroyer from Steel Monsters. Although it is not much of a custom, I thought I'd put up the pictures anyway. 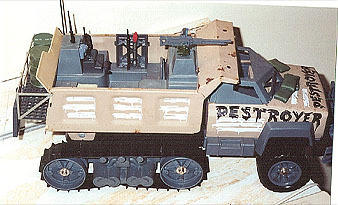 Destroyer looks like a hybrid dump truck/halftrack. The rear tracks were rubber and really turned. 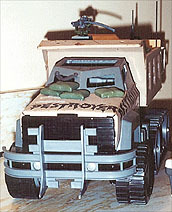 For this vehicle I added the sandbags, guns, and the equipment in the rear. 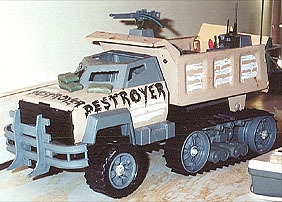 Destroyer was one of the good guy vehicles.